At some point in time, you might have thought of doing something which the coming generations would remember. The same way our ancient civilisations not only did so but also succeeded in their doings. Sumerians of ancient Mesopotamia were the birth givers to so many things that are a part of our daily life today. The World owes an innumerable number of discoveries to the most innovative civilisation of Sumerians. Starting from the invention of what most of us hate the most, i.e. mathematics to the instruments of weaponry, they brought it all. So let’s dig in further to know what wonders have their minds did. Copper was the earliest non-precious metal that came to use by the Sumerians. Somewhere in 5,000 BC, they developed the skill of fabricating copper. The kickstart of this process is one of the greatest inventions in Mesopotamia which also helped in the growth of various cities like Uruk, Sumer, al’Ubaid, and Ur. They put copper to use and made heads of arrows, razors, harpoons and other little objects. As the years passed, they also started making copper jugs, vessels, and chisels. The objects which they made serve as an old testament to the excellent craftsmanship of Sumers. 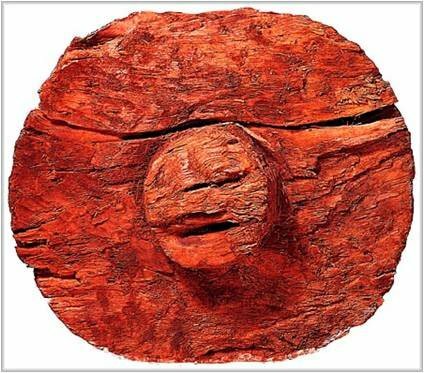 Imdugud Relief of 3100 BC is a pertinent example of an impressive use of copper for crafting. Found in Al’Ubaid, it has an eagle with a lion head which is seen in between the trails of two stags. It seems as if it is holding them. Copper has been beaten to form the images of these creatures in a wooden frame. The exquisite design of it flaunts the seamless employment of copper. 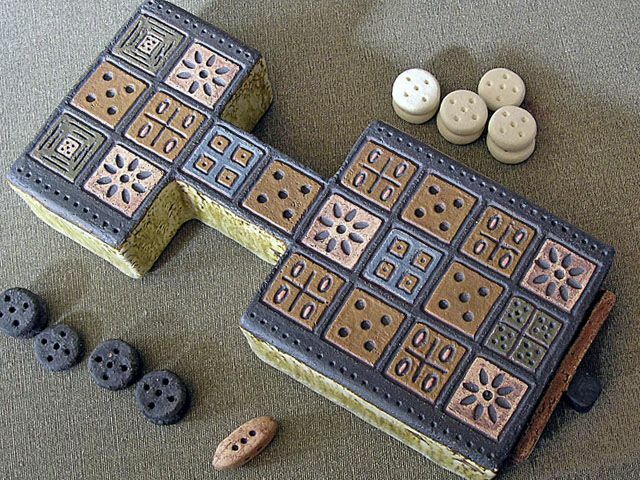 The Royal Game of Ur was invented in some time between 2600 and 2400 BC. The remains of the same were found by Sir Leonard Woolley in the Royal Tombs of Ur, Iraq during the 1920s. It was also known as the Game of Twenty Squares. The game of Twenty Squares was also given the name of Asseb in Egypt. One of the two boards that were excavated is kept in the British Museum of London. It used four tetrahedral dice with seven markers and comprised of two sets, one white and the other black. The world is not aware of all the rules following which the game was played in the ancient Mesopotamia. Therefore, the gameplay has been reconstructed. It was remade by a cuneiform tablet dating back to 177-176 BC. Historians say that similar to Senet, the Royal Game of Ur or the Game of Twenty Squares was also a racing game. Furthermore, it could be said that the game is a predecessor to the set of backgammon. The oldest existing wheel in Mesopotamia belongs to 3500 BC. Sumerians first used logs of wood as wheels to carry heavy objects. They joined these logs and rolled them making it easier for the movement of hefty stuff. Subsequently, thy invented sledge and then they entered both the woods and the sledge for the smooth moving of objects. By observing these movements daily, they decided to drill a hole through the frame of the cart and make a place for the axle. Now both the wheels and axles were used separately. The Sumers came to a conclusion that logs which had worn out centres were more manageable to be used. Therefore they connected wheels to form a chariot. Who knew a potter’s wheel could one day serve the transportation purposes. 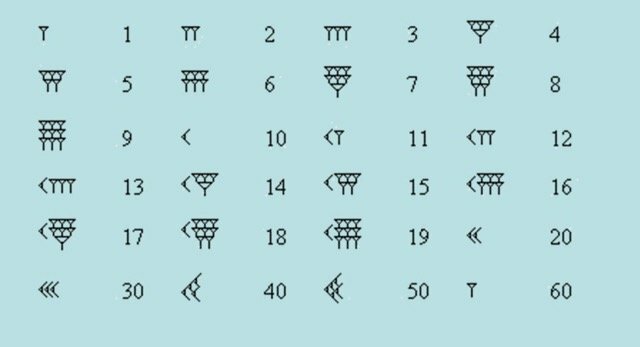 Invented by Sumerians in the 3rd millennium, the numeral system is known as Sexagesimal. It is named so because it has number sixty as its base. The mathematics was developed out of some bureaucratic needs. Sumers started to trade their harvests and invented taxation policies. Hence there was an urgent need for keeping these records. Moreover assigning symbols to large numbers was necessary as they wanted to track the course of night ski in order to prepare the lunar calendar. Slowly and steadily they started using a small clay cone for denoting number one, a ball for ten, and a large clay cone for sixty. An elementary abacus model was formed by Sumers between 2700-2300 BC. They developed a numerical system based on number 60 in which numbers could be counted on 5 fingers on one hand and 12 knuckles on the other. The sailboats were given existence so that they could provide a helping hand in expanding the trade affairs of Sumerians. Wood and papyrus were used to make lightweight sailboats so that it becomes easy for them to move on the waters. The sails were given a square shape and were made of linen. For battles, the platforms were raised so that the arrows could be shot with more accuracy towards the enemies. This conventional invention in 1300 BC changed the face of trade and battles. Where there was a continuous flourishment in trade the Sumers also made themselves capable of providing their civilization great protection. Developed between 3500-3000 BC, Cuneiform script was the first writing system to be given birth to by Sumerians. This style of writing was wedge-shaped. A stylus was used to produced different figures and pictorials by making cuts over the soft over clay. The after generations of Sumerians such as Babylonians, Assyrians, Akkadians, etc. 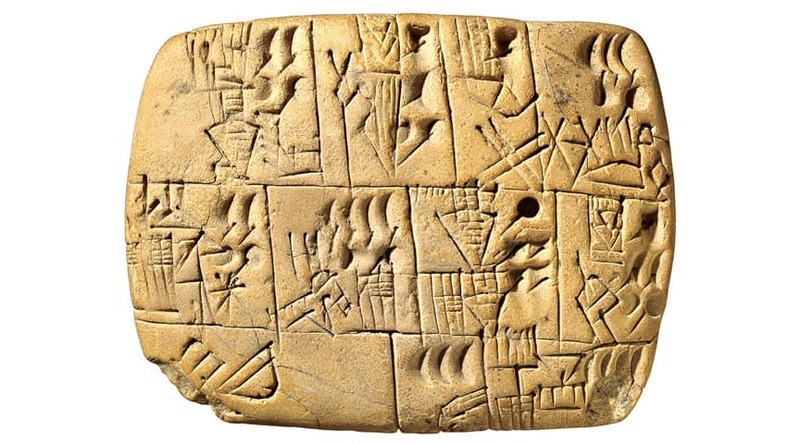 used the cuneiform style of writing in order to keep records of everything. They started with pictorial cuneiform known as proto-cuneiform which later became complex with an increased level of intangibility. The signs which indicated the name of cities, gods, nature, etc. were known as determinatives. Representations got a little simplified by 3000 BC. The strokes through stylus now conveyed concepts of words and not the signs. There was a reduction in the number of characters from thousand to six hundred. With this deduction the form of writing got phonological. In the Archaic cuneiform, the direction of writing was from left to right. Moreover, now a wedge topped stylus was being used which gave clearer strokes. People used it for more than three millenniums until the alphabetical form replaced it in Roman Era. 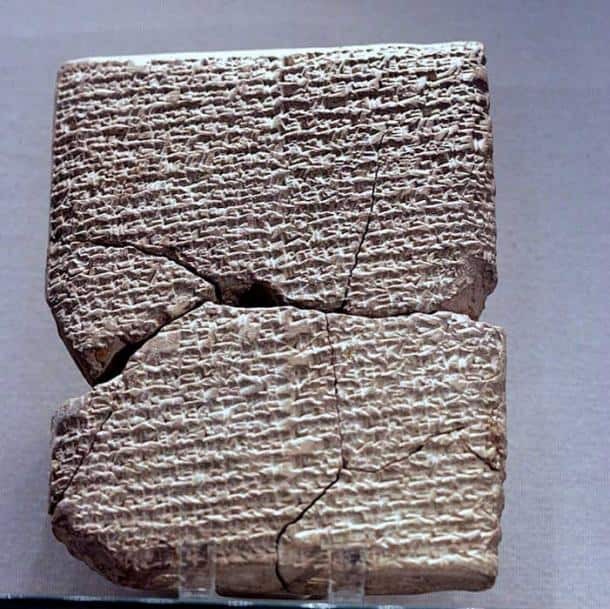 It is the oldest surviving law in the world was formed in Sumerian language. The copy of this code was found in Nippur. It is the earliest existing legal text which came into existence three centuries before of Code of Hammurabi. The laws are listed in a way that crime follows the punishment. This way of writing became the caustic form of listing laws in the generations that followed. Moreover, the code gives a peep into the societal structure that existed during the times of Sumerian Renaissance. Below lugal who were the great men or kings were lu who were slaves or free people of both the genders. Listed down are some laws that the Code of Ur-Nammu had. 1. If a man commits a murder, that man must be killed. 2. If a man commits a robbery, he will be killed. 3. If a man commits a kidnapping, he is to be imprisoned and pay 15 shekels of silver. 4. If a slave marries a slave, and that slave is set free, he does not leave the household. 5. If a slave marries a native (i.e. free) person, he/she is to hand the firstborn son over to his owner. 6. If a man violates the right of another and deflowers the virgin wife of a young man, they shall kill that male. 7. If the wife of a man followed after another man and he slept with her, they shall slay that woman, but that male shall be set free. 8. If a man proceeded by force, and deflowered the virgin slave woman of another man, that man must pay five shekels of silver. 9. If a man divorces his first-time wife, he shall pay her one mina of silver. Sumerians called their land the “land of black-headed people.” These people with blackheads are responsible for developing the first ruling system of monarchy. The earliest of their states needed a ruler to govern diverse people living in greater areas. 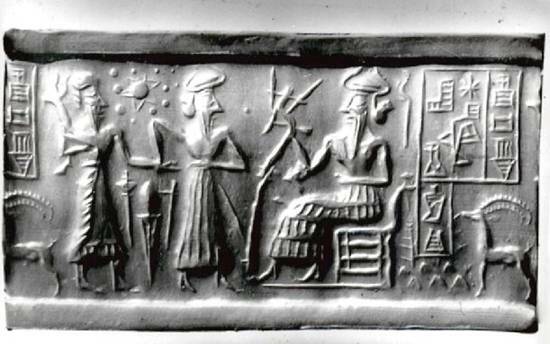 Before the monarchy came into existence, the Sumerian states were ruled by priests. The priest-kings had bureaucrats who were also priests. They assigned fields to people after surveying the land and also distributed the harvest among them. Next, they judged disputes, organized important religious rituals, administrated trade, and lead a military. This institution started to feel the need of legitimate authority which was beyond the tribal concepts of chieftainship. Therefore, the Sumerians justified the authority of monarch to be based on the divine selection. Later they started believing that the monarch himself was a divine power which was to be worshipped. 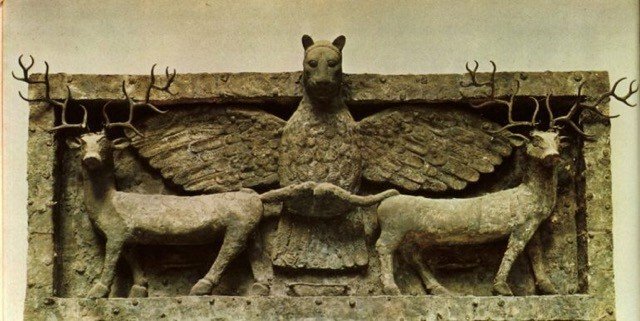 This way they legitimised the authority of ruler who was now in the dominant position of both ruling and serving the later generations that settled in the Sumerian states. The first monarch whose existence has been attested is Etana of Kish who ruled during 2600 BC. He was described as the man who stabilised the lands. The Sumerians were the first astronomers who mapped the starts to form different constellations which later were observed by the ancient Greeks as well. Moreover, they knew of five planets that were visible via naked eye. They developed a rudimentary cluster of constellations and also noted the movements of Saturn, Jupiter, Mars, Venus, Mercury. Furthermore, they used astrological symbols to foresee the future battles and positions of city-states. Their month began with the sunset and the first crescent visibility of the New Moon. It was seen for 18 hours after the 36 hours when the old crescent disappeared. The crescent was the thinnest of all its forms. 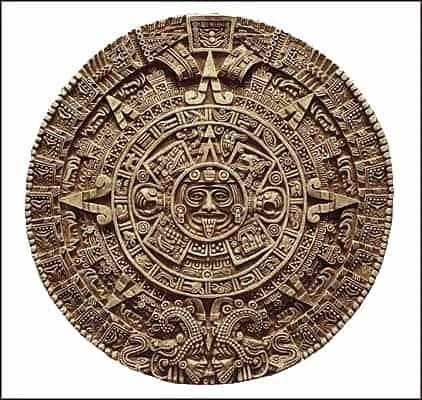 They were the first ones to form a lunar calendar. Phases of moons were used to count the 12 months. Sumers had two seasons in their Sumerian Year. First was the summer which started with Vernal Equinox and the other was winter which began with the Autumnal Equinox. Sacred marriage rites were performed on the day of New Year’s day. By adding an extra month after four years to every year, they differentiated between the year of seasons from the regular year. The day consisted of 12 hours as it started and ended with sunset. According to records, it was the Sumerian people to use the copper weapons for the first time. They brought into existence spears, swords, maces, slings, and clubs. They were the pioneers of weaponry. Sickles was majorly used in the battles alongside axe and spear. The socketed axe by Sumerians was the most influential weapon to be invented by them. They even used chariot for warfare. Putting wheels in a violent way was an indelible contribution to Sumerian in the military world. Sumerians realized the needs of humans way before other civilizations even came into existence. They have given the things which serve our basic needs even today. Many other things such as soaps, methods of irrigation, time, etc. were also brought into our lives by the enlightened minds of Sumers. The invention of calendar helps us in keeping pace with our lives today, the discovery of weaponry is seen saving lives of people, and the board games have become a part of the recreational activity for children. None of the inventions have proved to be a disaster. each of it has been seen serving the mankind even after the thousand years of its birth.